MYRIAD SPHERES: SULLIVAN'S WAR: BOOK III Arrives May 18! SULLIVAN'S WAR: BOOK III Arrives May 18! Hello, all! 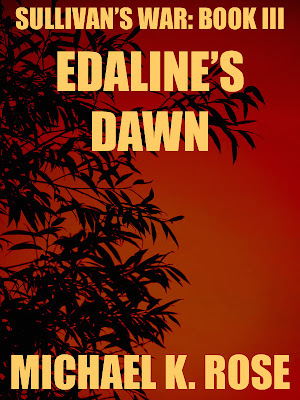 I am very excited to officially announce that Sullivan's War: Book III - Edaline's Dawn will go live next Friday, May 18! 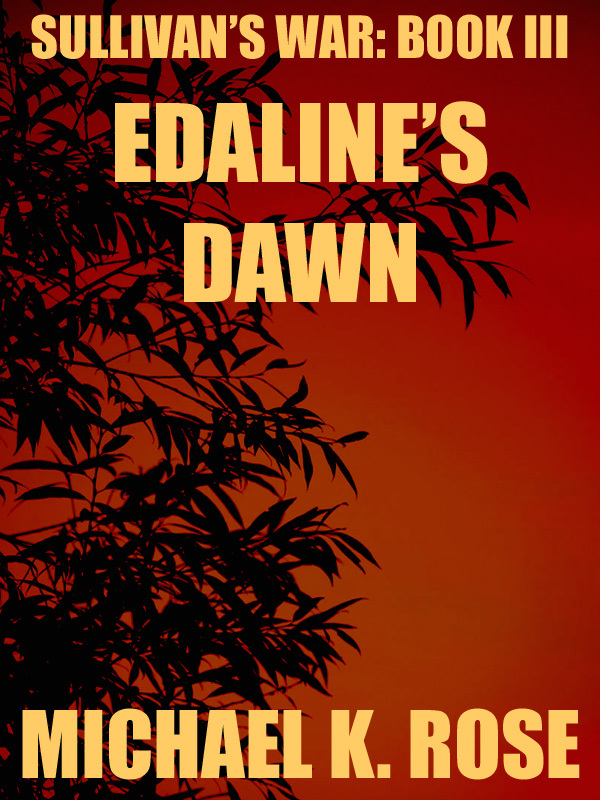 The journey began in December with the release of the prologue to the series, Sergeant Riley's Account, and was followed by Book I in January and Book II in March. Combined, those books have received over twenty 4- and 5-star reviews and have been a nearly constant presence on Amazon's "Bestsellers in Science Fiction Series" list. Book III sees the end of the Sullivan's War story line. Rick Sullivan will finally return to his home planet of Edaline and fight to free Edaline's people of their oppressive government. It will also reveal the fate of Frank Allen. And what of the bounty hunter Harvey? Will he continue to be a thorn in Sullivan's side? And what role do the mysterious hyperspace entities have to play in Sullivan's future?